We've finally hit the time of year where spring is quickly turning into summer. And while that may mean tank tops and sandals, the cool beach nights (and over air conditioned offices) always warrant a jacket. 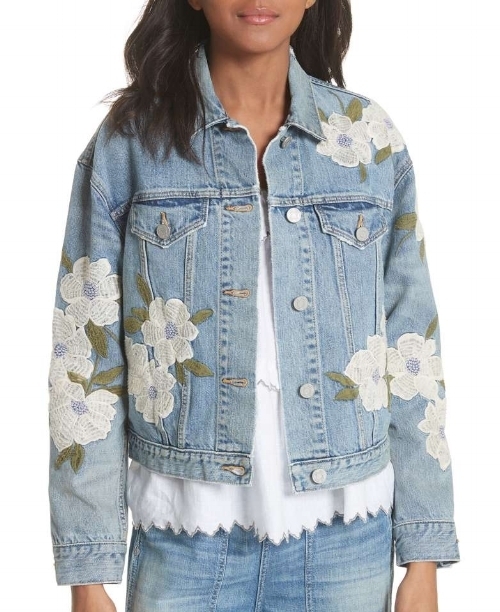 Denim jackets are always a staple piece, and each season, designers find new ways to play with them. 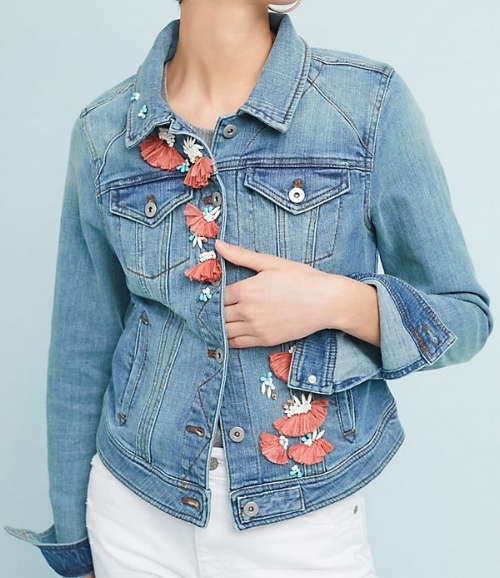 Instead of opting for plain denim, check out these fun options to make your outfit pop - embellished style! A super glam and bold back embellishment will really give people a reason to stare at your backside. 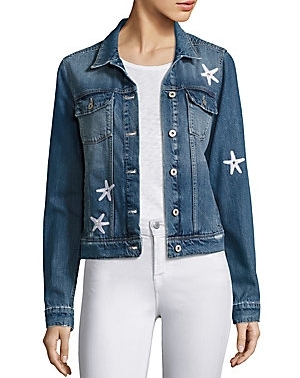 Embellished sea shells give off that beachy vibe no matter where you go. Because who doesn't love colorful tassels and hand embroidered details? Redesigning our grandma's dollies one floral embellishment at a time. Needless to say, we're living on a prayer. Or two. We traded in the "chips" on our shoulders for pearls. Get at us!